Open world – Mars setting – Destruction! 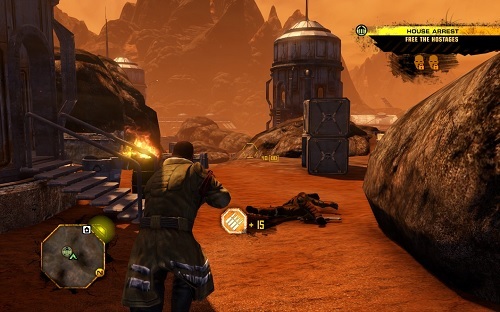 Red Faction: Guerrilla brings the popular Red Faction franchise into the open world genre with an impressive third person shooter that places you on the Mars colony. The game is the third in the series and is available on PC, Xbox 360 and PlayStation 3. The game revolves around the struggles of Alec Mason who is a mining engineer on Mars. After landing on the planet to join his brother the oppressive Earth Defence Force (EDF) kills his brother and a large number of other workers on the site. Alec manages to survive the encounter and is dragged into the rebel group known as Red Faction as they attempt to free the civilians from the overbearing rule of the EDF. Red Faction: Guerrilla is all about destruction with players able to destroy buildings and even cover in the game world. Not only does this destruction create a strategic gameplay element it also serves as the games currency with your destructive deeds leaving salvage behind for the player which can eventually be used to unlock additional weapons and technology in the fight against EDF. Players are also able to use a number of vehicles to help them take down structures in the game world. 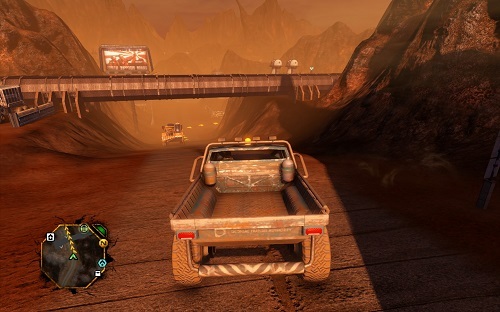 The Mars game world is split into six different areas that players have to free one by one in order to achieve the Red Faction’s goals. Guerrilla is still very much an open world experience though with players able to freely explore each area as they unlock it. There is plenty of freedom and flexibility in how players approach each level with a great mixture of main tasks and side missions for players to take part in. All of these actions attempt to weaken the EDF presence in the area and eventually allow the area to free themselves from their control. Open world shooter on Mars. All about the destructive environments. Fight for Red Faction and free the people from the EDF. Great mission variety as you attempt to weaken the EDF presence. For Windows, Xbox 360 and PlayStation 3. Samuel Franklin is the founder and lead editor of the Games Finder team. He has worked in the gaming industry since 2008 publishing content on the likes of YouTube, GameSkinny, Hubpages and other media outlets as a guest author. Samuel actively enjoys video games across all genres and platforms, watching the trends of the gaming industry and following the independent development scene in particular. Games Finder is also a Steam Curator and featured in the aggregate review data of MobyGames and Neoseeker. Games Finder provides the ultimate games like resource that allows gamers to easily find similar games based on their gaming history. With user driven recommendations and voting our game discovery pages enable you to find new and unique alternatives to your favourite titles.